Gratitude Grows Your Wellness Biz! Have you ever noticed that what you focus on increases – whether positive or negative? 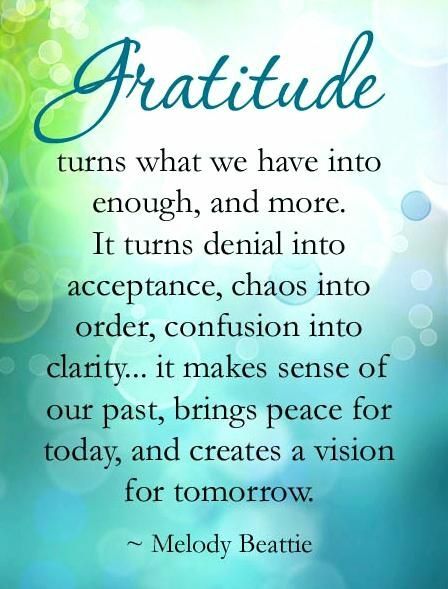 Do you believe that gratitude and appreciation create more abundance in your life? And have you experienced the opposite – that focusing on lack can keep us stuck in limitations? What blessings enrich your life? What lessons inspire new learning? What successes motivate more action? What failures teach you how not to do something? Remember the principle that what you focus on with sincere feeling increases. So focusing on what you have rather than what you lack will help multiply your blessings. By maintaining an attitude of gratitude each day, you develop the habit of appreciating what you have instead of dwelling on what you don’t have. Is your glass half-full or half-empty? You’ll handle challenges better if you begin with an appreciative mindset, especially focusing on the lesson in the challenge. What blessings enrich your life? What are you grateful for in this season of harvest and bounty? Be grateful for all of it, positive and negative – it’s all part of your life! This entry was posted in Gratitude, Mindset and tagged abundance, gratitude, prosperity, success by The Prosperous Practice.Bookmark the permalink.